Summary: The HP Spectre XT Pro is one of the best 13 inch ultrabooks you could buy right now and has plenty of strong-points on its side, but the few noticeable quirks, including the average screen and battery life, plus the rather hefty price tag, only make it one of the few to consider, and not the one you must buy no matter what. 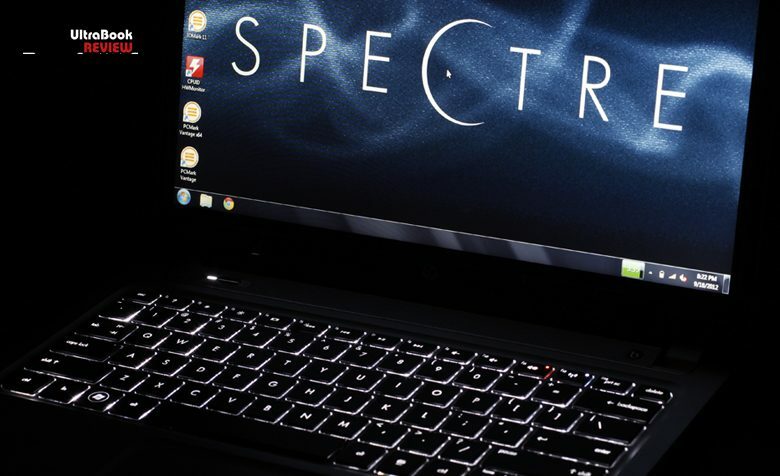 Back in May, HP announced the Envy Spectre XT, their main 13 inch ultrabook for 2012. 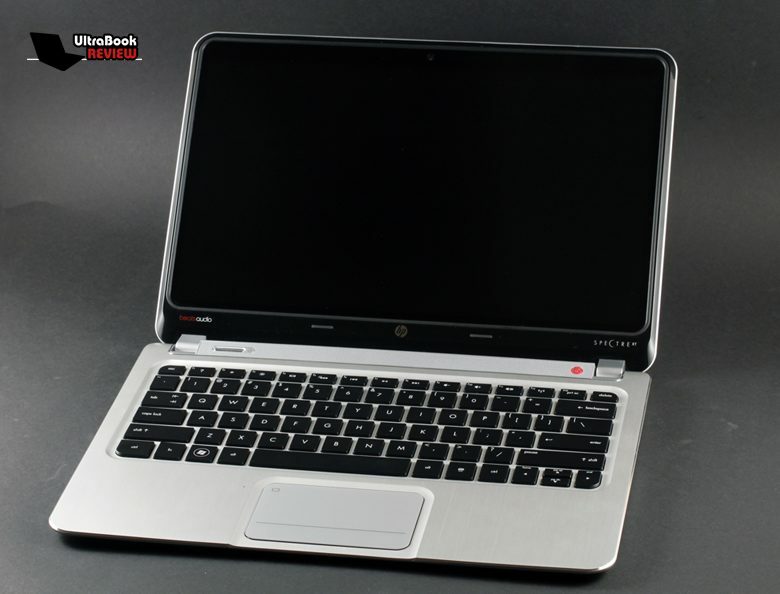 At the time, I was considering it just a fancy laptop, more focused on looks than anything else, especially since it came after the HP Folio 13, a more restrained laptop that was quite appreciated withing business environments. 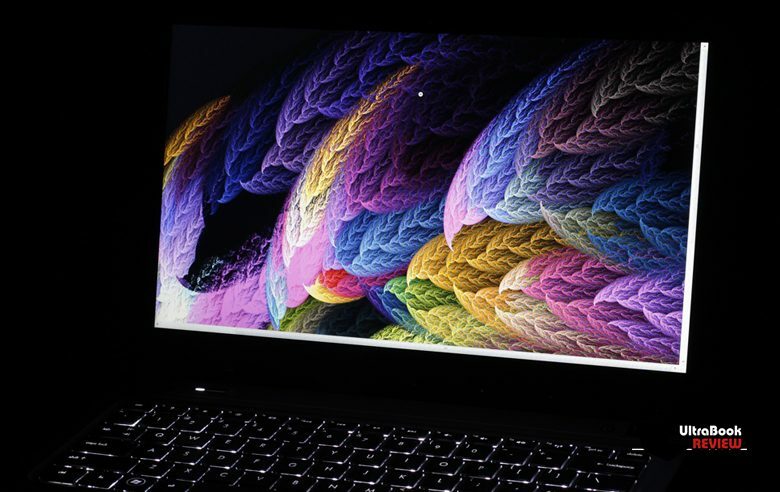 In the meantime, HP also developed another machine, built on top of that Envy, called the HP Spectre XT PRO, which targets exactly those corporate and enterprise buyers. UPDATED: If you’re looking to save money on this laptop, these shops tend to offer it discounted most of the time. On a first look, you’re not going to notice anything special about the Spectre XT PRO and there’s a good reason for that: the only differences between the business and the consumer devices lay inside, with the PRO version packing of course Windows 7 Professional and a TPM module, while going for $100 more in stores. PRO or No-PRO, is the HP Spectre XT good enough to stand out in this more and more competitive segment of 13 inch ultrabooks? Well, that you’ll find out if you’ll read the post below. The clip will of course tell you the main things you should know about the HP Spectre XT PRO, but for the goodies, you’ll have to dig deeper. We’re going to start by having a look at this HP machine and I’m telling you, this one is a looker. 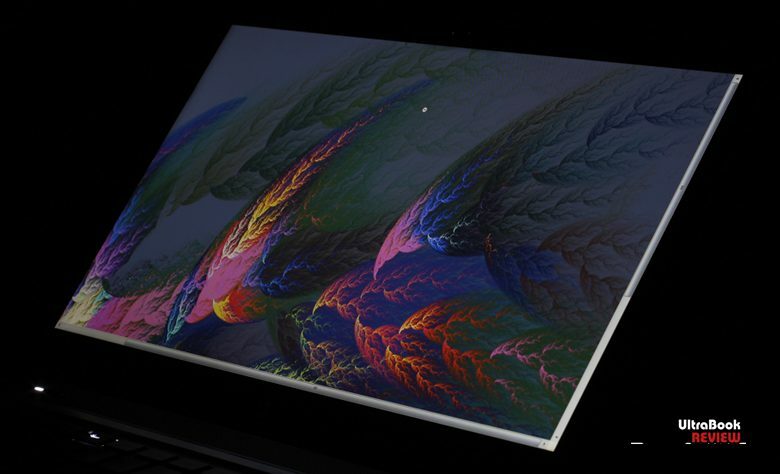 It might not be the most appealing 13 inch ultrabook out there, but it’s fairly beautiful. And on top of that, it is quite solid built. 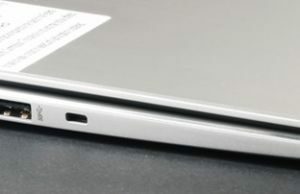 The laptop weighs a bit over 3 pounds and is about 0.7 inches thick, but gets slightly slimmer towards the front and overall is a hair more compact than most of the other 13 inch ultrabooks (this one is only 12.4 inches long, while most ultrabooks are around 13 inches). 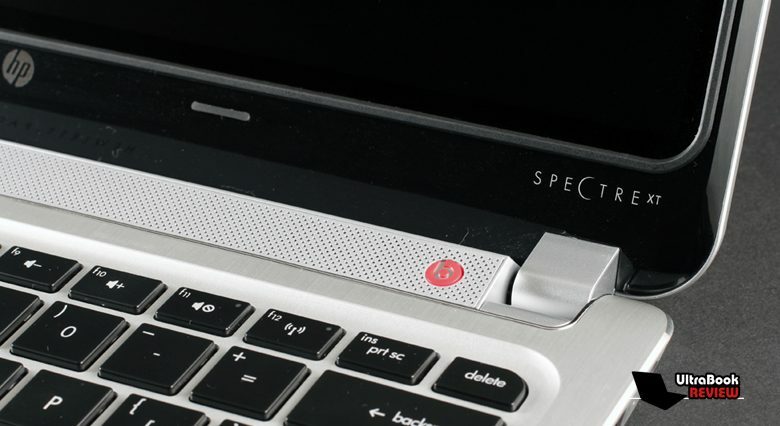 The Spectre XT combines the aluminum you get on the hood with some soft rubbery plastic for the sides and the underbelly, which feels good to touch, provides grip and won’t scratch easily. On our unit, the entire exterior comes in silver, but you can also find this one in back. Speaking about the underbelly, you’ll only find some cooling grills back there and the speakers, so there’s no easy way to access the battery or the internals. But it’s not that difficult either, you’ll just have to take care of a couple of Philips screws for that. 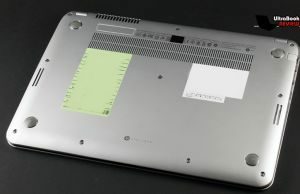 Notice that the hot air is pushed towards the back, away from the user, while most other similar ultrabooks either push it behind the screen’s hinge or on the left side. The ports are lined on the edges. 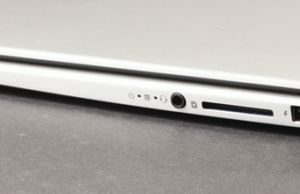 On the left there are the Ethernet, HDMI and USB 3.0 slots, plus the Kensington Lock, while on the right you’ll find some discrete Status LEDs, a headphone-microphone jack, a card-reader that can easily accommodate an entire SD card, an USB 2.0 slot with Charge-while-sleeping abilities and the PSU. So the only thing missing is VGA output, but HP will offer an HDMI to VGA adapter with this laptop, although i believe you’ll have to pay extra for it. Opening the lid, you’ll notice a nice looking interior, also covered in aluminum, with the keyboard and trackpad slightly deepened into the chassis. On top of the keyboard there’s a plastic grill that integrates the Power button and hides beneath some of that Beats Audio speaker system. All in all, the HP Spectre XT Pro looks good and feels solid, although the screen is a bit wobbly and the plastic grill beneath it feels a bit cheap. But while the body does not impress in any particular way, I find it practical, which for me is extremely important. And by that I’m trying to say that most of the tiny details are properly put together: the screen’s lid does not bend when pressed, the edges are not too sharp, the bottom is solid and offers good grip and so on. 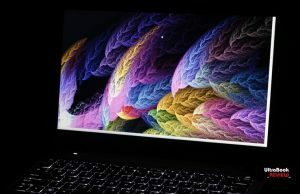 The screen however is not as good as you’d expect from a modern laptop, especially one meant for enterprise environments. First of all, it’s glossy and also comes with a glossy bezel. And second, this is just a standard 13.3 inch TN panel with 1366 x 768 px resolution. As a result, the viewing angles are narrow and you’ll get plenty of annoying reflections when using the laptop in bright light. But on the other hand the colors are not that bad and the screen is fairly bright. 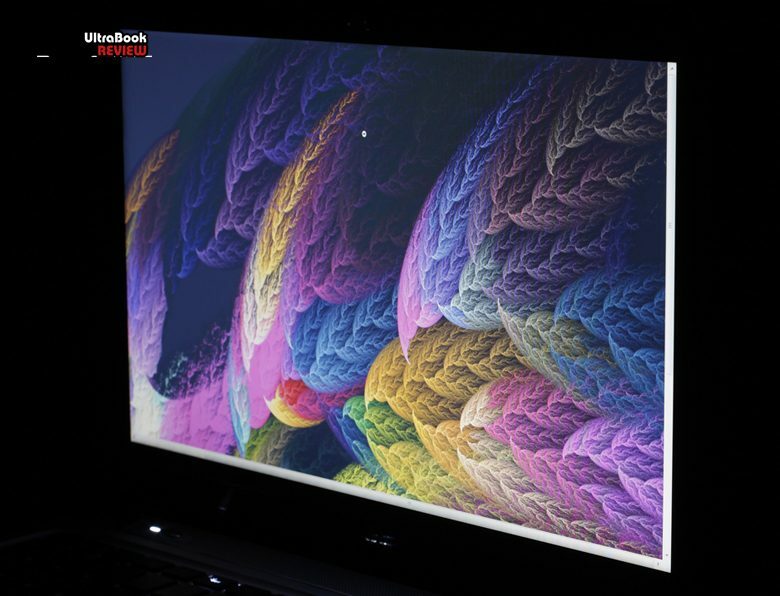 So while this is not one of those awful displays we find on budget ultrabooks, it’s still not as good as I was expecting, especially if you’re going to compare it to that IPS panel on the Asus Zenbook Prime, which is the standard in this class right now. 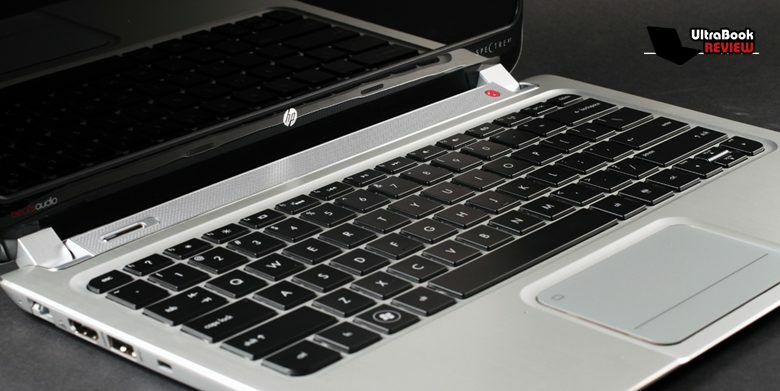 So, as long as you’re using the laptop inside and on your desk, you’re going to be fine with the screen on this HP. From the moment you’ll lift it from that desk though, things will change and the panel, plus the fact that the display does not bend that much on the back, will show their limitations. 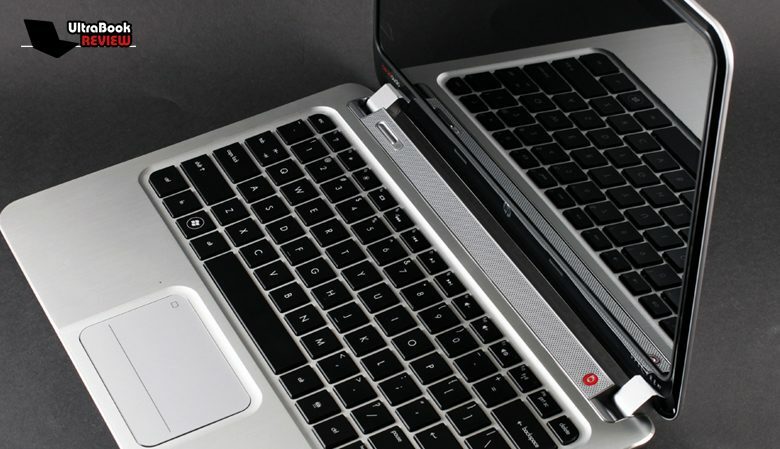 With that aside, we should have a look at the keyboard and the trackpad. The first is actually quite good, with a proper layout, well spaced keys and good overall tactile feedback. The keyboard is also backlit, and yes, the illumination level cannot be adjusted, but I can live with that. 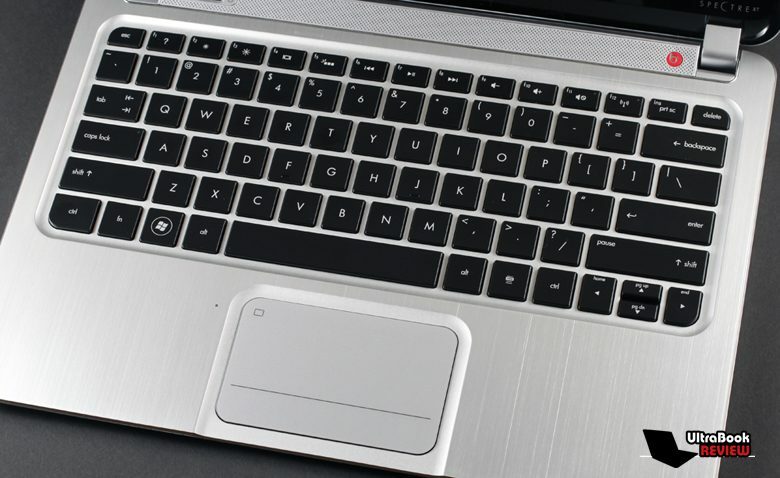 In fact, this is probably one of the most comfortable keyboards featured on a 13.3 inch ultrabook and its only small issue are those cramped Up and Down arow keys. Oh, and some, me included, might not appreciate the reversed Function keys, but I think I could get used to those. 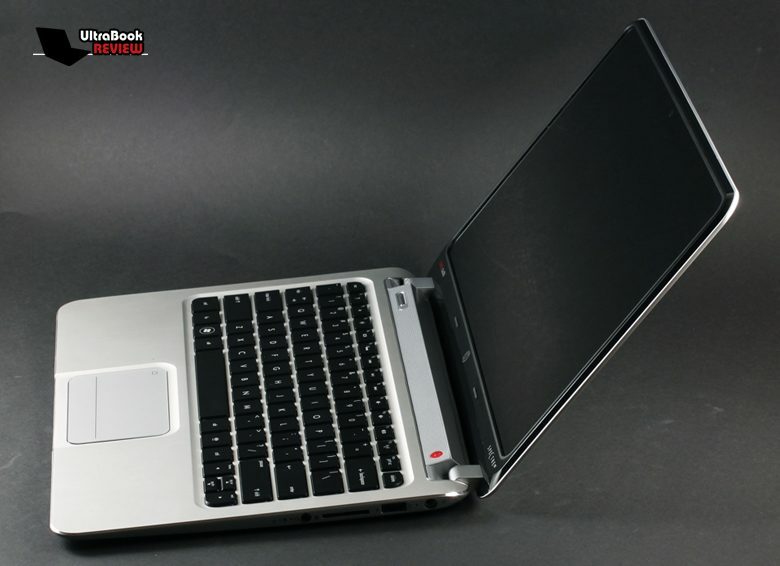 As for the trackpad, it’s spacious enough, smooth and it’s properly separated from the palm-rest. It’s also quite accurate and responsive, both for everyday use, bot also when it comes to using multitouch gestures. 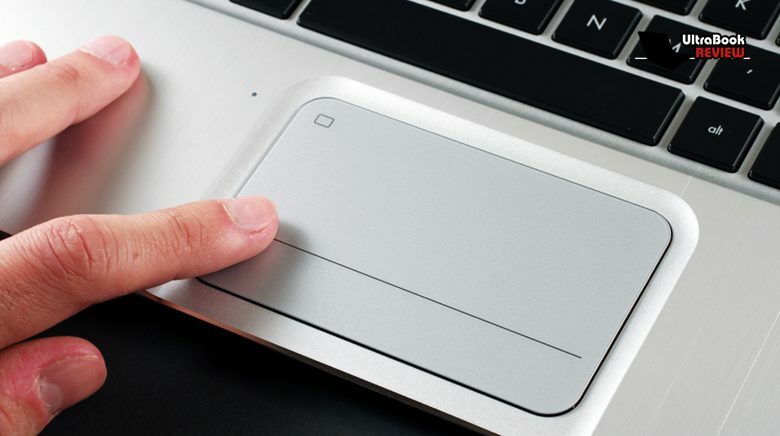 The integrated click buttons perform surprisingly well too, so I must say, I’m quite impressed with the trackpad on this HP. One thing though: you can disable the touchpad by taping the designated area in its top-left corner and sometimes this one can get a bit unresponsive, but since you’re not going to use this feature that often, it shouldn’t bother you at all. Ok, it’s now time to tell you a couple of things about how this laptop deals with the everyday tasks. 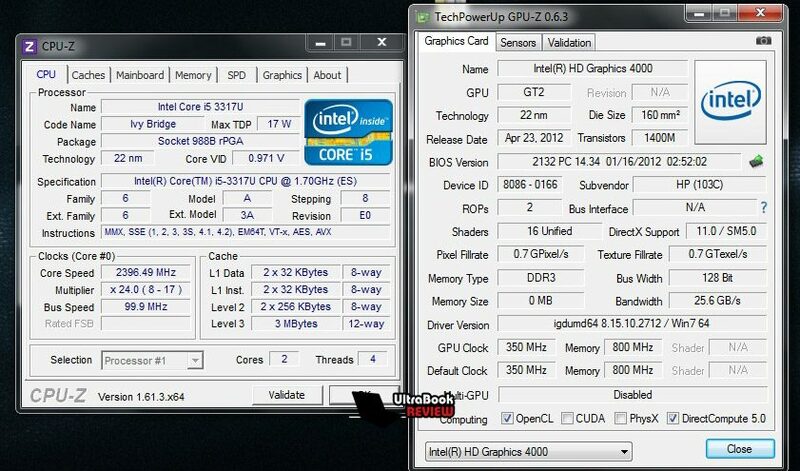 My test unit is built on an Intel Core i5-3317U processor, with 4 GB of RAM and a fast 128 GB SSD. As a result, it is fairly snappy while performing casual activities and can also handle multimedia content or more intense programs. Just don’t push too hard and don’t throw games at it, this is after all just a regular ULV platform with dedicated graphics, so don’t expect it to perform better that it’s designed to. 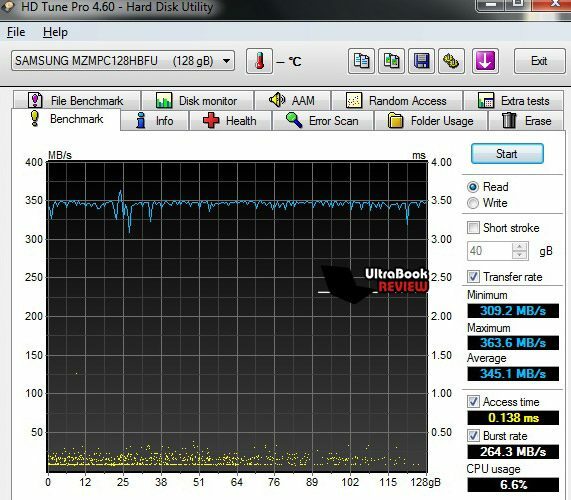 You’ll notice that the numbers are quite high and the fast SSD takes the “blame” for that. 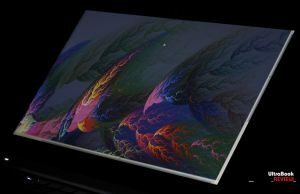 It also helps the laptop boot fast (in under 25 seconds) and resume from sleep almost instantly, which is indeed what you’d expect from an ultrabook in this price range. Long story short though, the Spectre XT feels pretty much as any of the other top ultrabooks in this class right now. 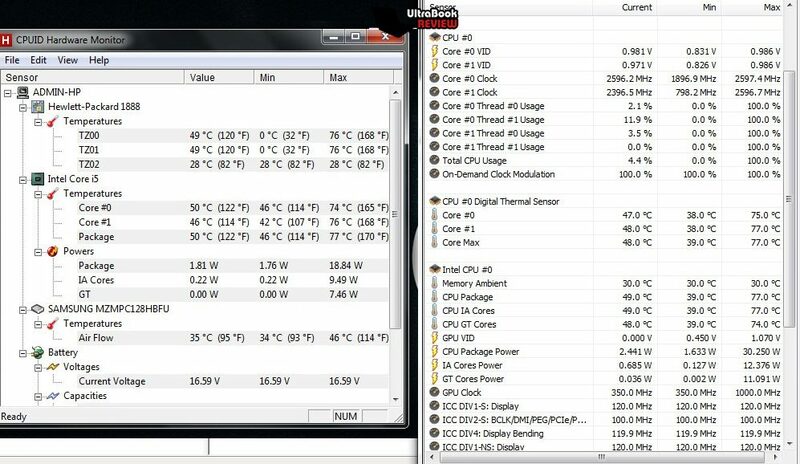 It also runs cool and it’s never going to get very hot, not even when push. 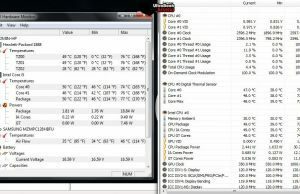 During daily use, the fans stay quiet as well and for most of the time they are even completely shut down. 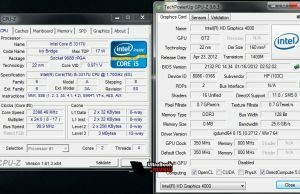 When watching some HD movies, editing some photos or performing some other tasks that will require a bit of extra power, the fans will kick on and you’ll hear them when using the laptop in a completely silent room. 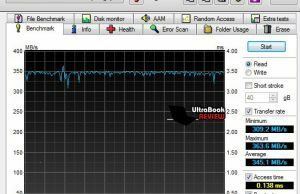 But you’ll never feel that this HP Spectre XT Pro gets too loud. Of course, the sound is usually going to be covered by the overall good speakers on this unit. There are four of them packed on this laptop, two on the bottom and two on top of the keyboard. However, while they do provide punchy and loud sound for a 13.3 inch laptop, I was probably expecting them to be somewhat better in terms of audio quality as well, as the sound feels a bit blunt. Still, this is definitely better than what you get on most other 13 inch ultrabooks available right now. I should also mention the HD webcam on top of the laptop, which performs alright as long as there’s some light in the room, otherwise the provided images are going to be grainy. As for the connectivity, the Spectre XT Pro does not feature an integrated cellular module, but uses Intel’s Centrino N6235 wireless platform, which provides excellent speeds and bundles Bluetooth 4.0 and WiDi. 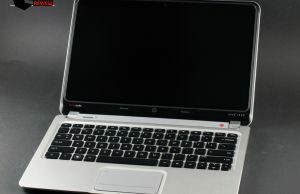 Now, before talking about the battery life and prices, I should remind you that this is a business designed laptop, which means that the Specte XT Pro comes with Windows 7 Professional by default. There’s also a TPM module embedded and can be sold with Computrace, on top of the other pieces of software HP bundles on this unit, including Office Starter and a bunch of others. 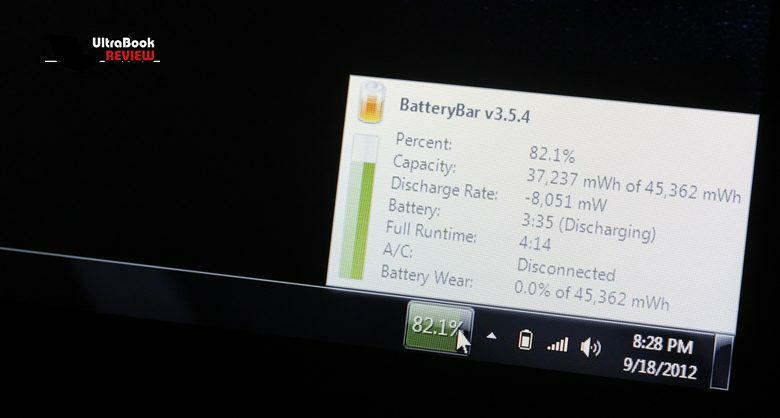 Back to that battery, there’s a 4 Cell 45 Wh one on the Spectre XT and it provides enough juice for about 4 and a half hours of daily use, on HP’s recommended power profile, with the screen at 60%, while performing various casual tasks. 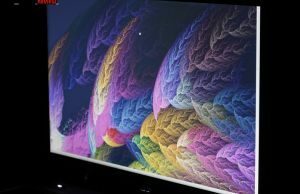 And that can of course be squeezed to 5+ hours when using the computer lightly, switching off the keyboard’s illumination or dimming the screen. 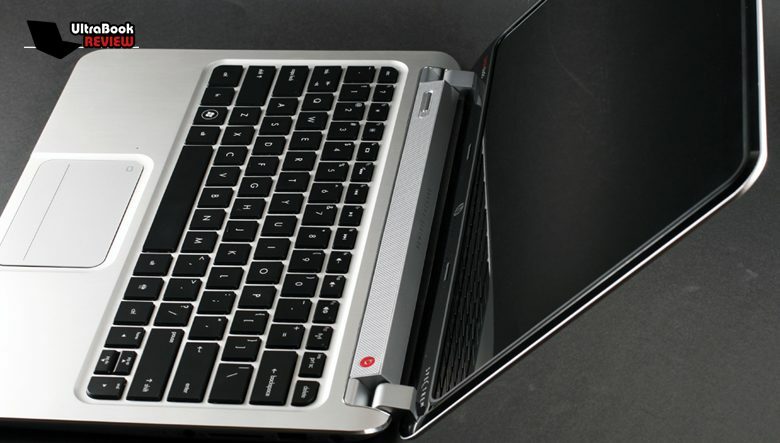 That’s good, but some other ultrabooks can do better, including HP’s Folio 13. As for the prices, the tested HP Spectre XT Pro is available on HP’s website right now for $1099, which makes it one of the most expensive 13.3 inch ultrabooks of the moment. And yes, having TPM and Win 7 Professional does add to the cost, but I still feel that HP should have gone a bit softer with the prices here. The home-user version of the Spectre XT starts at $999, ditching the business targeted features. But even so, that’s only $50 cheaper than the Asus Zenbook Prime UX31A , with its awesome display. 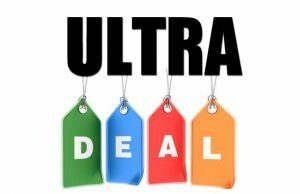 Luckily, some online stores do offer significant price cuts on the Spectre XT 13 and the Spectre XT PRO, so if you’re looking to save some money on these laptops, you should definitely check out our other post here. 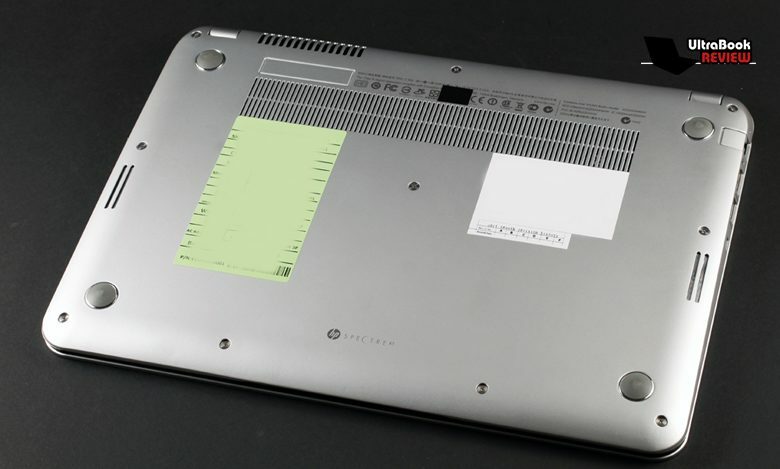 If HP would have bundled a better screen on this machine, the Spectre XT could have easily been the best 13 inch ultrabook on the market, cause except for that, there’s little you could say wrong about it. 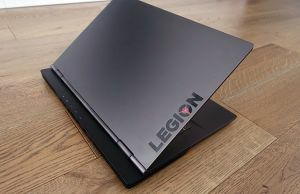 The laptop is beautiful and feels sturdy, the keyboard and trackpad are among the best in the class, it’s as fast as most of the other good machines in this segment, offers good speakers and modern wireless connectivity. 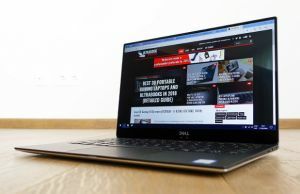 With the average screen and the rather short battery life though, combined with a pretty hefty price tag, the HP Spectre XT fails to score all As, but still remains on of the top 13 inch ultra-portables you could find out there. But is the Spectre XT PRO really fit for business? 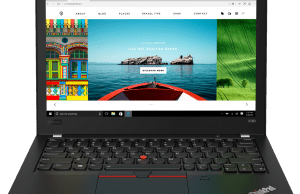 Theoretically, yes, but if you want a laptop that can last you all day and can be usable while on the road, I’d say you’re going to be better with Lenovo’s X1 Carbon, with its matte screen, longer battery life and integrated 4G. 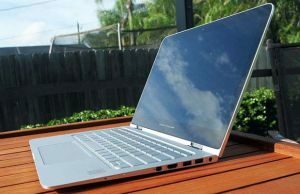 However, I for one am still waiting to hear more about the Elitebook Folio we saw back in May, that looked like a true business ultrabook, packing the specs, the construction, the screen and the accessories needed in this environment. where can I still get this?